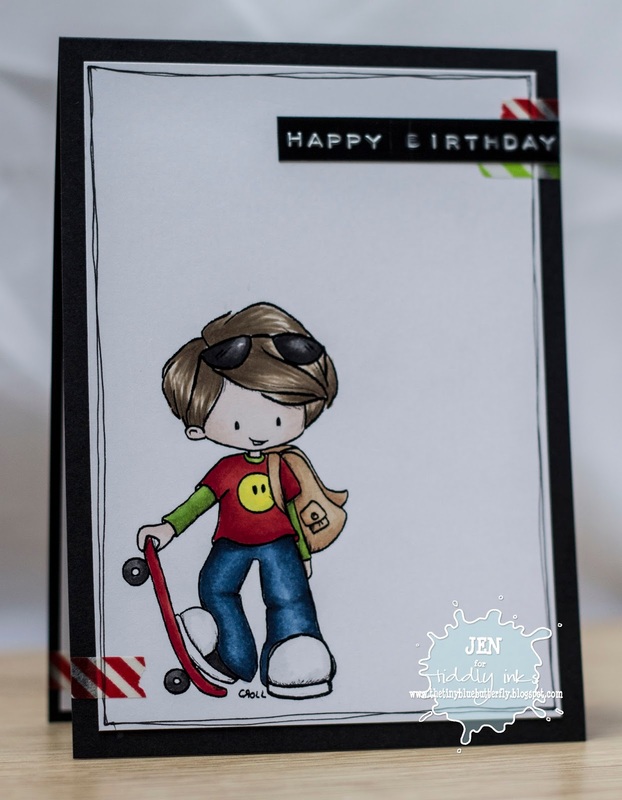 Morning, it's Fab Friday over at Tiddly Inks Challenge and I have used this super cute little sk8tr boy for my card today. Kept it really simple to focus on the image! Coloured with Copics, it's finished off with a simple sentiment and a bit of doodle and washi tape. Wonderful design! I love how you did the sentiment. Hey Jen, it's a very nice card you made there. I especially like the colouring and great use of the DYMO sentiment.